What makes someone influential in the ultimate world? Is it a coach who teaches someone the finer points of throwing? A community organizer that builds a foundation or league from the ground up? A mentor who instills a lifelong love of the game in her team? A business leader that impacts the direction of the sport? A player that dominates the competition while winning with spirit of the game? An influential person in the context of this list does these things too. But influencers also bring growth and global impact to ultimate as a whole through their ideas, innovations, and inspiration. In this article, we highlight 21 individuals with considerable influence on ultimate in the modern era. In crafting this list, we took into consideration a person’s public profile and the magnitude with which their ideas are shaping and impacting the landscape of the sport today. Special attention is paid to their work over the past 12 months. While researching the people on this list, it became very clear how good we have it in the ultimate community. The sport has never been in better shape, and it’s in no small part due to the tireless effort of the people mentioned below. As is the case for just about every list, there is a large amount of subjectivity involved. Who is making a difference in your commnity? Let us know in the comments section. Ambler is one of the most accomplished players in the game, having won five national championships and two world championships over a 15-year career and coached several more. She is also intimately involved with the growth and development of the sport in multiple capacities. Her work with the Seattle Ultimate Foundation administers college scholarships to local ultimate players each year and plans and coordinates fundraising efforts. Nationally, Ambler has been a Vice President on the Board of Directors for USA Ultimate for over five years, serving on the Executive Committee, Spirit of the Game, Observers and Rules Committee, and Conduct Committee. She is also a member of USAU’s Disc Standards and Hall of Fame working groups. Ambler has also coached at the National Ultimate Training Camp, Seattle Youth Camps, and AGE UP. As co-founder and CEO of Ultimate Peace, Barkan uses the sport of ultimate to promote inter-faith dialogue and provide a fun outlet for children caught up in the crosshairs of the Israeli-Palestinian conflict. He founded Ultimate Peace in 2008, with a vision of using the sport of ultimate and spirit of the game as tools for peace and bridge-building in conflict zones. His camps promote listening to another point of view, finding common ground, and resolving differences amicably – all core competencies of a great ultimate player. Barkan has coached youth ultimate for over 30 years on four continents, won a world club championship as a player in 1995 with San Francisco’s Double Happiness, and was inducted into the USA Ultimate Hall of Fame in 2010. Booth may have retired from full-time coaching last year, but her schedule is as packed as ever. She is a guru of the sport, founding the Amherst Regional High School ultimate team 24 years ago and coaching the squad through a period of unprecedented growth and success. Booth’s Hurricanes won 19 state ultimate championships, three national titles, and too many regular season tournaments to count. Under her tutelage, the ultimate program expanded to include a varsity and two junior varsity squads for both boys and girls. Booth also guided the US Junior National team to a pair of gold medals and a bronze. Her future plans include either franchising or expanding her National Ultimate Training Camp, continuing to lead coaching clinics and certifications for USA Ultimate, and exploring the option of coaching at the college or club levels. As CEO of USA Ultimate, Crawford has steered his ship through turbulent waters of late. Responding to surveys of USAU members calling for a more meaningful and consistent regular season, Crawford has spent the better part of two years designing, tweaking, and defending his organization and the much-maligned Triple Crown Tour from accusations that money and the elite men’s division are being prioritized over the needs of the average player. Despite the controversy, membership has increased under Crawford’s leadership, sponsorship dollars are up, and more youth are playing the sport than ever before. He also bagged a much-coveted broadcast deal with ESPN that expands ultimate’s profile nationally, all while beating back challenges from several upstart professional leagues hell-bent on prying away his elite club teams. The sport is thriving under Crawford’s watch, and a clean sweep of the open, women’s, and mixed divisions at the 2013 Under-23 World Championships shows that American ultimate is poised to continue its dominance for the foreseeable future. Love it or hate it, Deaver was the mastermind behind USA Ultimate’s Triple Crown Tour. As Managing Director of Competition and Athlete Programs, Deaver was the lead power broker behind restructuring a more meaningful and consistent club regular season. He spearheaded behind-the-scenes negotiations with elite club teams at the outset of the plan, and has thus far prevented defections to professional leagues. Last year, Deaver fended off his most serious challenge, a new proposed league from NexGen (a plan that would have destroyed elite USAU men’s club ultimate), and has remained one step ahead of the MLU and AUDL by continuing to improve USAU’s Triple Crown Tour offerings. His unequivocal response to MLU Commissioner Jeff Snader’s attempt at reconciliation shows that he is not taking his competition lightly. Deaver is also the Deputy Chair of WFDF’s Ultimate Committee, tasked with overseeing any and all global issues affecting participants in ultimate and overseeing world championship competitions, and was one of the brains behind the Callahan award. Growth has been explosive for Eisenhood, founder and Editor-in-Chief of Ultiworld. Eisenhood burst onto the scene two years ago with a detailed breakdown of the landscape of professional ultimate leagues, bringing a serious media background into a sport that typically eschews sincerity for the ironic. Eisenhood carries a journalist’s sensibility, tirelessly networking and scooping stories of major interest to the ultimate world. Recently, he has expanded Ultiworld’s focus into Grantland-style analytic breakdowns of teams and strategies. The effort paid off when his two statistics editors, Jeremy Weiss and Sean Childers, had a research paper accepted to MIT’s prestigious Sloan Conference on sports analytics, where they were selected to present a poster and rub elbows with a who’s who of sports wonks. Eisenhood has also experimented with a wide variety of monetization strategies of late, hoping to secure Ultiworld’s place as the number one website for ultimate news and insight. Any coach who defeats the 7-time defending national champions in the first year on the job is going to get noticed. Under Ghesquiere’s tutelage, Scandal knocked off seemingly invincible Fury in dominating fashion to upend the women’s division. “Dutchy” brought his championship pedigree to Washington from San Francisco, where his steady leadership helped bring Revolver two club national championships (one as captain, and another as player/coach) and one world club championship. He also coached Team USA to victory at the 2013 World Games in Cali, Colombia. Trademark patience and calm, combined with a keen strategic mind and coaching experience in open, women’s, and mixed club divisions, ensures that his services will be in demand for years to come. Ultimate’s most dominant player has expanded his repertoire to include a series of children’s books and humorous columns. His article exploring existential angst surrounding employment, ultimate, and his place in the world struck a nerve with the ultimate community and pulled back the veil of ignorance on a complex individual. On the field, vastly improved throws have complemented the most consistent deep threat and quickest first step in the game. His growing series of titles now include one college, three club, and four world championships. Kittredge’s defection from the MLU’s San Francisco Dogfish to the AUDL’s San Jose Spiders almost single-handedly altered the trajectory of the two leagues. Lloyd brings serious financial heft to the sport as owner of the American Ultimate Disc League (AUDL). He purchased a 90% stake in the AUDL from then-President Josh Moore following a less than ideal first season of small attendance numbers, multiple disbanded franchises, and a lawsuit that tore the league apart. Lloyd’s financial muscle and business acumen as President of Development and Sales for networking multinational Cisco brought a measure of stability to the fledgling league. A flurry of offseason activity has brought the AUDL back ahead of the MLU in a two-horse race for professional supremacy after seemingly being left for dead. The defection of superstar Beau Kittredge to the AUDL brought most of his Revolver teammates with him, and the league is poised to continue its growth into more traditional ultimate hotspots. Call him the comeback kid. Minderhout was on top of the world as recently as 2013. His NexGen Network filmed crisp, high-definition video at seemingly every high-profile tournament in the country. They had an exclusive relationship to film USAU’s club championships and were the first to consistently cover tournaments with a play-by-play and color commentary crew. The NexGen summer tour drew large crowds showcasing the best players in the country for a reasonable price. Then, amidst the turmoil of start-up professional leagues, Minderhout proposed his own league that would poach the top 16 club teams in their entirety from USAU. Behind-the-scenes accounts from players involved in the negotiations indicated heavy interest in the league save for its conflict with qualifying for the world championships. Minderhout may have lost that gamble (and the NexGen Tour due to financial difficulty), but a new deal to broadcast part of the USAU club championships this Fall show that we haven’t heard the last of him yet. As owner of Morrill Performance, Tim is now the go-to trainer of record for ultimate teams. Tim is the head trainer for Boston’s Ironside, and a certified strength and conditioning specialist who has worked with youth, collegiate, and professional athletes through the National Strength and Conditioning Association, Mike Boyle Strength and Conditioning Boston, High Intensity Training, 365 Performance, and NCAA Divisions I and III. He expanded the business internationally in 2013 by flying to Germany for an intense two-day session of clinics and combines. Whether its consultations, out-of-the-box training programs, articles, public speaking tours, performance clinics, or combines, Morrill has quickly diversified his offerings as a one-stop shop for everything devoted to ultimate fitness. Tireless is the word most used to describe Ng, founder and head of Without Limits, club player with Raleigh’s Phoenix, and Events and Relationship Manager for VC Ultimate. Ng is almost single-handedly responsible for promoting the growth and development of women’s ultimate, and puts together tournaments, skills clinics, and resource manuals across youth, college, and club divisions. The past year has been rough on women’s ultimate with media attention and an increasingly bottom-line driven sport focusing its attention elsewhere. Ng continues to toil away full time in the background despite this new reality, putting on upwards of seven tournaments/clinics per year while living out of her car. The year has been challenging for Ng because of horrendous weather and other tournament snafus, yet she continues to toil away, inspiring current and future generations of ultimate players. 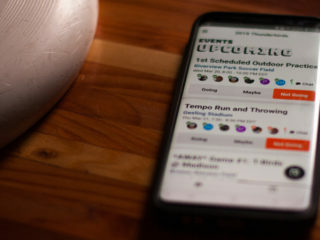 As Producer and Creative Director for RISE UP Ultimate, O’Brien has done more to democratize knowledge of ultimate’s fundamentals than anyone in ultimate history. The longtime Rhino captain (now Sockeye player) has flown around the world tirelessly promoting the video series, and has received glowing responses for its impact on emerging teams and countries. O’Brien is further involved with growth and outreach through ultimate camps Spin Academy and Next Level Ultimate Camp and has participated in clinics in six different countries. He also promotes dialogue between Israeli and Palestinian youth through outreach organization Ultimate Peace. O’Brien has proven to be an adept commentator, calling numerous broadcasts as an analyst for the NexGen Network. Just as he developed the Ultimate Players Association as its fourth Executive Director from a rag-tag organization into a professionally managed governing body, Rob Rauch led the World Flying Disc Federation in 2013 to its biggest accomplishment yet: provisional recognition by the International Olympic Committee. In the ongoing quest for the sport’s legitimacy, Rauch brought in monetary support, an ongoing dialogue with the IOC for future inclusion in the games, a great shot at permanent recognition for ultimate in 2015, and did it all while emphasizing spirit of the game as a key selling point. As President of WFDF, Rauch has helped expand the organization to 56 formal member countries and will be coordinating 160 teams and 4,000 athletes at the World Club Championships in Lecco, Italy this summer. Rauch is also increasing his public profile by wading into some of the most pressing issues in the contemporary ultimate world, exploring a move to implement observers in international competition and voicing his displeasure with the founding principles of burgeoning American professional leagues. Rauch has quietly brought a professionalism and managerial rigor to WFDF, and is poised to lead the growth of ultimate’s global footprint. 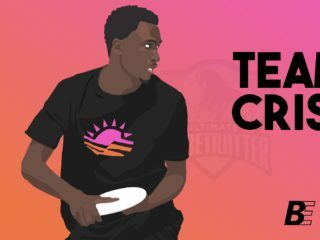 Sewell has been one of ultimate’s main power brokers in the last decade, serving as an informal liaison between the elite player community and the lead organizational bodies. Many of the biggest changes in structure and format of USAU events have come about largely because of a push from Sewell, from founding Cultimate as a for-profit tournament venture, to establishing the Ultimate Invite Championships as an end-of-season alternative for teams on the cusp of Nationals, to agitating for changes to the overall structure of the club season. He is currently serving as Creative Director and Brand Manager for the MLU, where he has been outspoken about his displeasure with the USA Ultimate Triple Crown Tour. Social media superstar and Doublewide national champion, Smith has the most powerful branding of anyone in ultimate frisbee. His trick shot collaborations with well-known Youtube channels have earned Smith over 550,000 subscribers and instant name recognition outside of the ultimate world. Smith maintains powerful connections with personalities at ESPN, and earned the AUDL numerous clips and shoutouts on Sportcenter’s Top 10. Oh, and he’s not bad at ultimate either, having won two college championships and a club title. Smith is rumored to have signed the biggest deal in professional ultimate history, worth upwards of five figures a season. Over the last several years, MLU Commissioner Jeff Snader has shown a knack for stirring the pot. He brought military precision as coach of Philadelphia’s Southpaw, and led the Philadelphia Spinners to the first AUDL title. In a shocking move, Snader broke the Spinners off from AUDL and formed his own independent league, attracting a who’s who of superstars from the club circuit and premier sponsors such as Puma. 2014, however has been trying for the MLU, as main rivals AUDL poached a number of key players from the league during the offseason. Snader has also frequently sparred with USA Ultimate. In January, USAU blocked the MLU from sponsoring team jerseys for college and youth participants in championship events. In a series of controversial moves, Snader blasted USAU for doing a “horrific job” and specifically called out CEO Tom Crawford’s salary. A week later, he sent a letter to USAU proposing a partnership and offering to donate $10,000 to youth development initiatives. Snader will have a lot of work to do to keep his league afloat in the coming months. As founder and Editor-in-Chief of Skyd Magazine (disclaimer: the website you are reading right now), Trotter sparked a revolution in ultimate media. Before his creation, ultimate news was filtered through dozens of ad-hoc blogs and hasty after-action reports on rec.sport.disc. Trotter calculated correctly that the ultimate community was starving for information, and the site continues to expand its coverage following a successful crowdsourced fundraising campaign in 2013. His entrepreneurship doesn’t end there. Trotter co-founded RISE UP – ultimate’s first professional instructional video series – and High Release, a magazine that brings strategy, insight, and stories about ultimate from some of the top minds and players in the game. He played ultimate for the MLU’s Seattle Rainmakers and USAU club team Voodoo, becoming one of the first outspoken gay male players in elite ultimate in the process. In case all of that wasn’t enough, in 2014, he launched Ultimate Globe Trotter, a travel-focused web series featuring the world’s best ultimate teams and their stories. Tsang’s roots in the ultimate-crazed Bay Area run deep. He began playing as a sophomore in 1992 for defending college champion UC Santa Cruz, coached UC-Berkeley’s Pie Queens to multiple national championship births, and coaches a middle school team in the East Bay Youth Ultimate League. Over his eight year tenure with San Francisco’s Fury, Tsang has experienced more success than any coach in ultimate history, winning seven straight national titles and two world championships. Under his guidance, Fury fine-tuned its horizontal stack and enhanced the team’s offensive efficiency, while tirelessly working to refine the team’s on-field strategies and mental toughness. Fury may have come in 2nd last year for the first time since 2005, but with strong recruitment year after year, a full offseason of rest, and Tsang’s steady coaching, don’t be surprised if they begin another run. He joins the AUDL’s San Francisco Flamethrowers this year as Director of Player Development for their inaugural season. Known as the “King of Beach Ultimate”, Patrick has been almost solely responsible for the growth of beach ultimate around the world. He started playing grass ultimate in 1979 in his native Holland, but his love affair with beach started after a move to Portugal in the late 90s. Finding grass fields too expensive to rent, he took to the beach and single-handedly started the ultimate scene in Portugal. His passion for beach ultimate was so great that in 2001, he transformed a conversation over drinks at Paganello into an official entity: the Beach Ultimate Lovers Association. Over its nearly 15-year history, BULA has helped standardize beach rules and provide support for growing beach tournaments and leagues. Beach promises to be at the front of people’s minds in 2015, as the World Championships of Beach Ultimate will be held in Dubai and the Beach Ultimate Championships will be played in the United States for the first time. In addition to his work with beach ultimate, Patrick is also a WFDF board member and serves as the head of the WFDF Spirit of the Game committee, where he has been an outspoken proponent of spirit and self-officiation in ultimate. It’s a safe bet that wherever ultimate is played, Ben Wiggins will be there. Whether it’s an up-and-coming tournament in Amsterdam, Seattle’s Riot, a development clinic in Russia, or explaining the finer points of footwork to a 14-year-old in Colombia, Wiggins is the consummate teacher. He constantly seeks out new opportunities to spread his love of the game globally, and has become a brand in his own right. Wiggins’ knowledge of the game is encyclopedic, but what really stands out in his sincerity and kindness. He was never the most athletic person on the field during his playing days, but his intelligence and creative throwing ability earned him the respect of all of his competitors. More recently he has taken his coaching virtual, playing a starring role in Mario O’Brien’s RiseUp series of online instructional videos. Despite doctors orders sending him to an early retirement on account of too many concussions, Wiggins showed the young guys he still has it with an impressive out-of-nowhere performance in the 2013 MLU Western Conference championship.